Up early for pre-breakfast dive and amazed to find that the Atoll is still in view and we really are at Clipperton. We also discover that we are not alone – a tuna fishing boat on the horizon. It hung around for a bit then moved on. 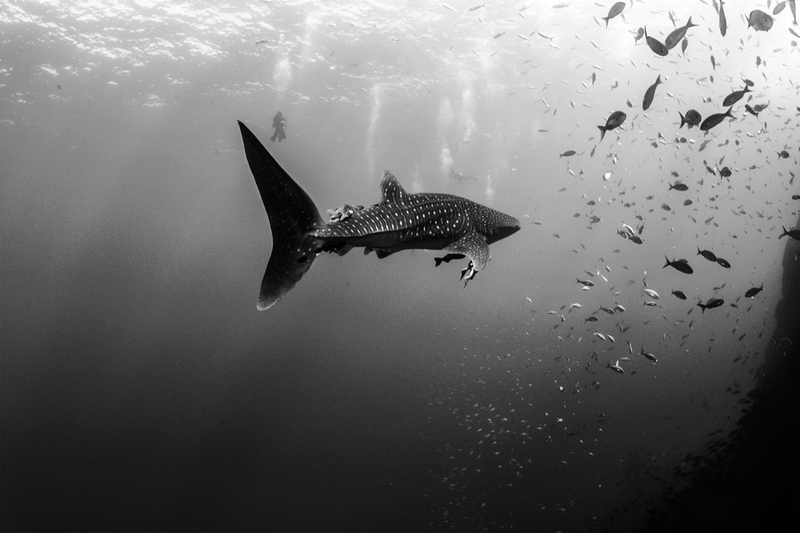 Four amazing reef dives on offer – Creole fish, Leather Bass, Blue and Gold Snappers, Golden Jack, Pacific Crevalle, Blue Spotted Jack, Lumphead Triggerfish, more Clipperton Angel fish and the usual active morays and Galapagos Sharks. Actually on several of the dives we noted the same shark with a long line fishing hook through the jaw and line trailing. Such a shame but I am beginning to think of him or her as Captain Hook… I declined the fourth dive for a sunset rib trip along the atoll. I was lucky enough to see the tiger shark yesterday. I’m hoping it might be still cruising around nearby. It’s only the second tiger I’ve seen in 15 years diving. The first was off Moorea. I’m getting to the stage where by the 4th dive today I’m almost ignoring all the Galapagos and silver tip sharks! We did have an interesting 5 minutes though with my buddy having to fight off a somewhat aggressive moray that I think had taken an interest in his bright green fins and managed to bite into one. Had a first today though – snorkelling with dolphins. It was absolutely beautiful. One pod was at least a dozen dolphins and against the blue of the sea with the sun streaming down it was a sight which will long stay in my memory. 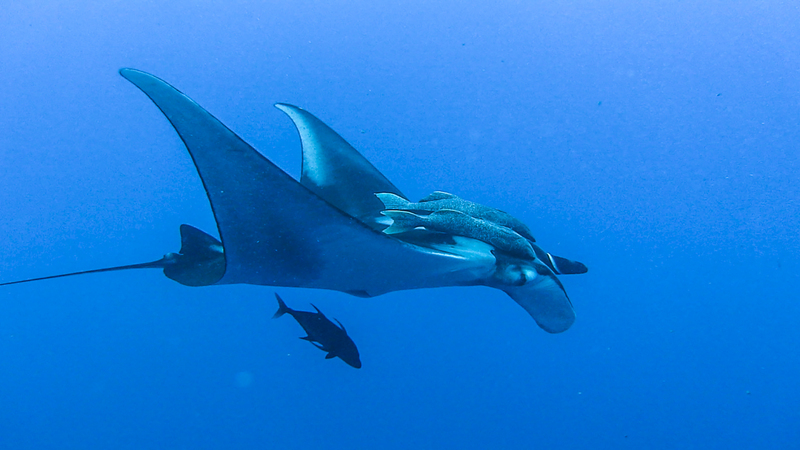 Mantas and Tigers and Hammerheads, Oh My!